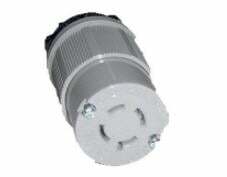 20 amp 4-wire twistlock 120/240 volt female connector in NEMA configuration L14-20. UL Listed. Connects to transfer switch models 2026, 20216V, 200660, R2020 and power inlet box model 14202.